Celery in a Chase & Company car ca. 1920-1921. Pictured in the photograph are Thomas Jones and William A. Leffler. 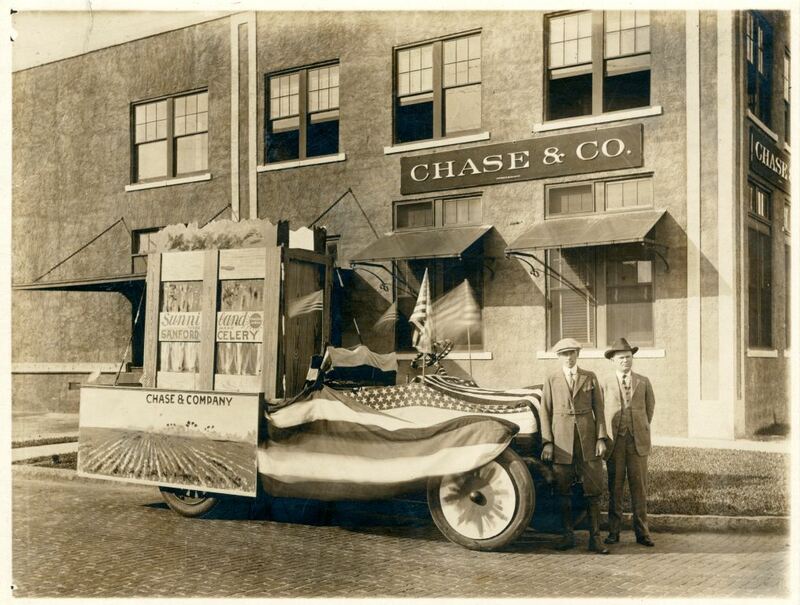 Chase & Company was established in 1884 by brothers Sydney Octavius Chase and Joshua Coffin Chase. The company sold insurance and later invested in storage facilities and fertilizer sales. Chase & Company was known mainly for its agricultural interests and maintained a series of citrus groves throughout Central Florida. The company was based out of Sanford and became one of the city's largest employers into the early twentieth century. Original 5 x 7 black and white photograph: Chase Collection (MS 14), box 214, folder 15.103, item CC47, Special and Area Studies Collections, George A. Smathers Libraries, University of Florida, Gainesville, Florida. Digital reproduction of original 5 x 7 black and white photograph. Celery Collection, Chase Collection, RICHES of Central Florida. 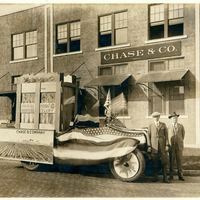 “Chase & Company Decorated Car.” RICHES of Central Florida accessed April 22, 2019, https://richesmi.cah.ucf.edu/omeka/items/show/1572.